VENICE, Calif.--(BUSINESS WIRE)--As title sponsor of this year’s Sixth Annual Holiday Lighting of the Venice Sign, FMB Development CEO Ilan Kenig will help to ‘flip the switch’ on the Venice Sign, changing the iconic sign from its classic white lights to festive green and red lights. The ceremony will take place on Saturday, Dec. 2nd at Windward Avenue and Pacific Avenue. The festivities will begin at 6:00 p.m. with a pre-lighting holiday concert. Ilan Kenig will light the sign alongside Councilman Mike Bonin and two special guests. 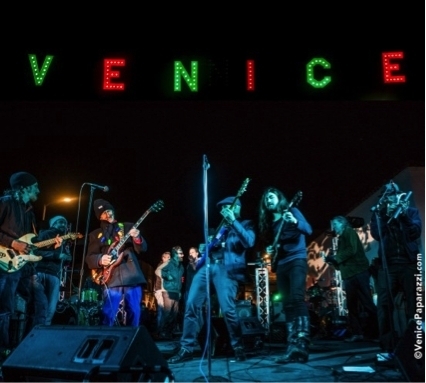 This one-of-a-kind event brings together members of the Venice community to celebrate the season with local musical acts, a poster contest featuring designs from local Venice school groups, and remarks from Ilan Kenig, Councilman Mike Bonin, and a special celebrity guest. To learn more about the Sixth Annual Holiday Lighting of the Venice Sign, visit the Venice Chamber of Commerce’s website. About The Venice Chamber of Commerce: The Venice Chamber of Commerce is an organization of business leaders who actively serve as advocates for the ever-growing Venice business community. Through dynamic networking events and diverse committees, we support the interests of area businesses and contribute to improving the vitality of the local economy; positioning Venice as the “creative soul” of Los Angeles. To learn more about the Venice Chamber, visit www.venicechamber.net.